Antique Radio Conversions - M31 Inc. - "applied digital science"
One of the most fun things we do is to convert antique radios and entertainment centers to modern standards. We build these conversions two ways: Full custom and spec (speculation). For a full custom conversion you can supply the cabinet or pick one of our unconverted cabinets and specify the equipment used in the conversion. For a spec conversion, we find a cabinet, convert it and make it available for sale. Our conversions fit in the middle between restorations and reproductions/replicas. 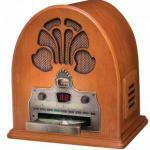 There are many excellent companies in the business of restoring antique radios. 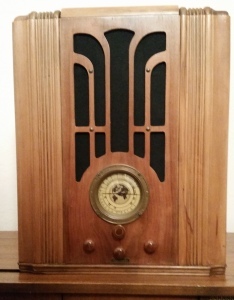 They restore the radio to the full look and functionality it had when new. If you want to hear a radio or phonograph the way it would have sounded back in the day, this is the way to go. Reproductions/replicas are factory new radios that are manufactured to look like antique radios. All of the electronics are new and can include radio, phonograph, cassette and CD players. Our conversions have the best of both worlds. The cabinet is a real antique and has the look and feel of an antique. Reproductions are imitations, and most are not very high quality, reproduced for mass marketing. 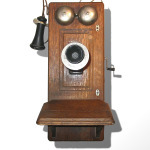 Our conversions remove the antique electronics and phonographs and are brought up to current standards. They sound much better than antiques and have much more functionality, practicality and reliability.